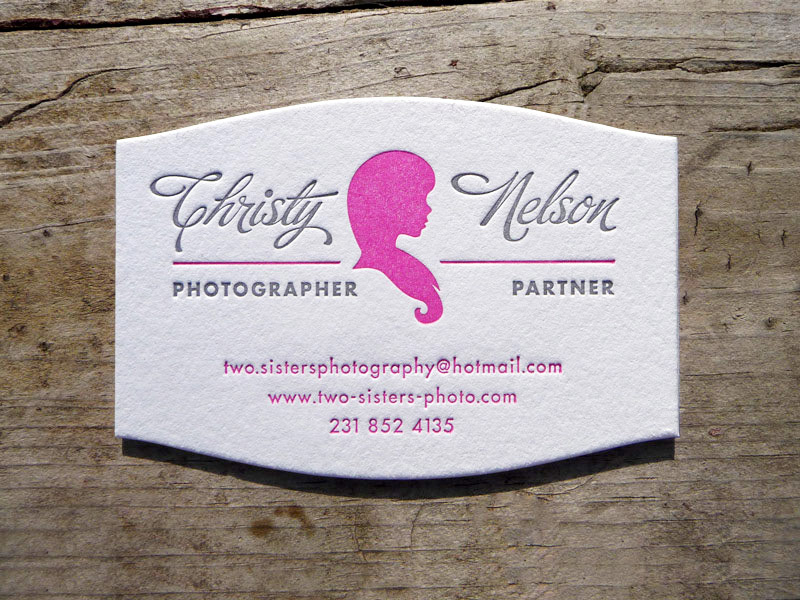 Fizz Creative designed these business cards for Two Sisters Photography, a pair of photographer sisters who are specializing in outdoor and location photography. 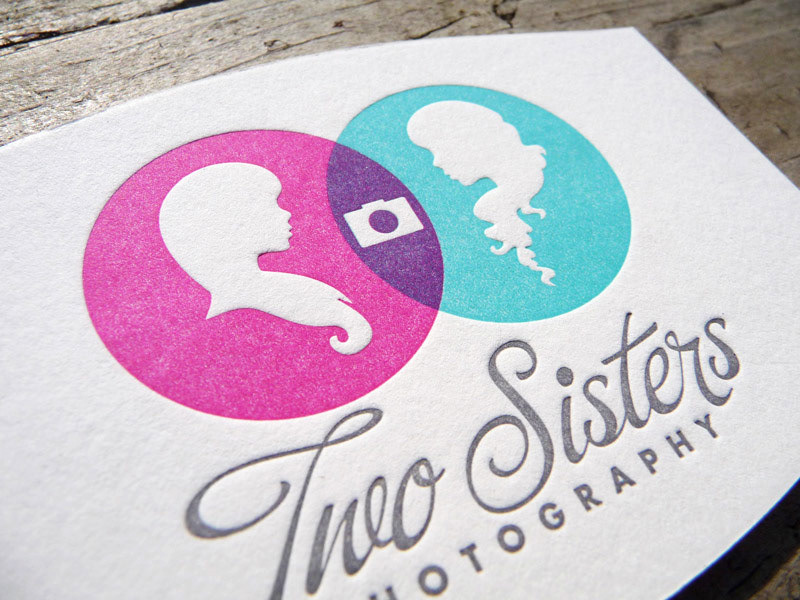 Fizz Creative used a Venn Diagram when creating the sisters’ visual identity. 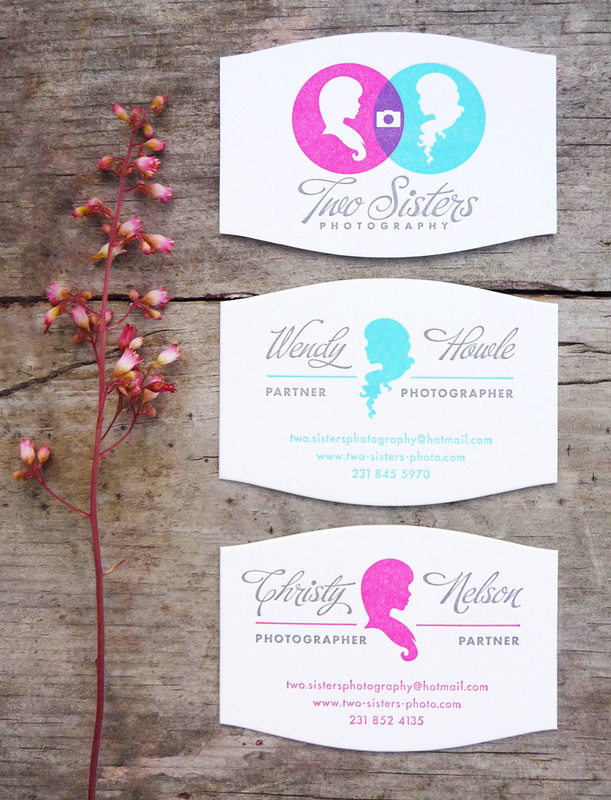 “The goal was to create an elegant and sophisticated look that fit the style of each sister – Christy and Wendy. The cameo style silhouettes allowed us to showcase each sister’s unique style and personality through their profile treatment,” said Katie Melnick, one of the founders of Fizz Creative. 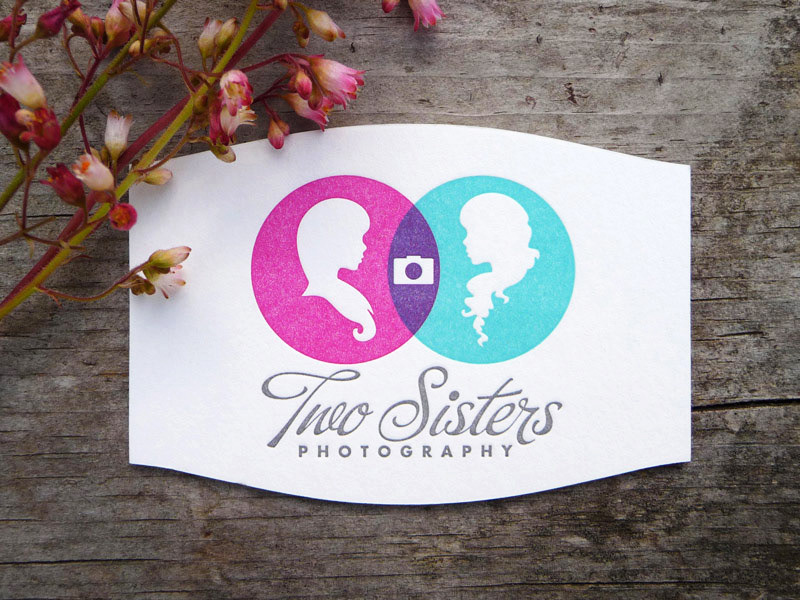 Even so, both sisters have shared the same interest in photography, which is well represented through the camera icon at the purple-colored area on their logo. Smart! 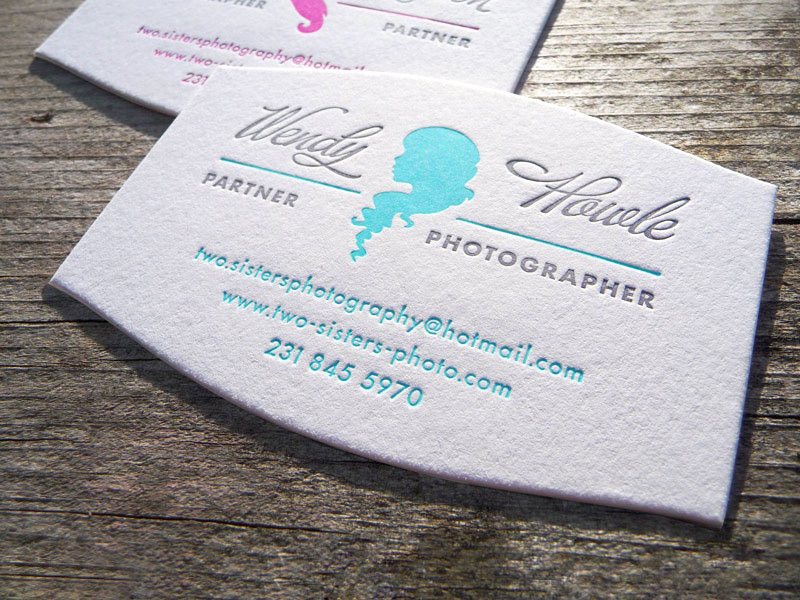 The cards were custom die-cut, letterpress printed by Cranky Pressman with three Pantone colors on front and back, using 220lb Crane Lettra pure cotton stock for a substantial yet luxurious texture.